Aug. 16, 2017, 9:52 a.m.
By Ricardo Bilton @rbilton Aug. 16, 2017, 9:52 a.m.
Last week, Facebook launched Watch, its YouTube-like video destination, with a cadre of big-name partners, including Mashable, Quartz, and Business Insider. These publishers see Watch as a viable new distribution channel for their video series and a new revenue stream: Facebook is both offering creators big bucks upfront to produce new series and also promising creators a 55 percent cut of midroll advertising down the line. One standout amongst that list of national and international news organizations was McClatchy’s Fort Worth Star-Telegram, the only local news organization counted among Facebook Watch’s first batch of partners. 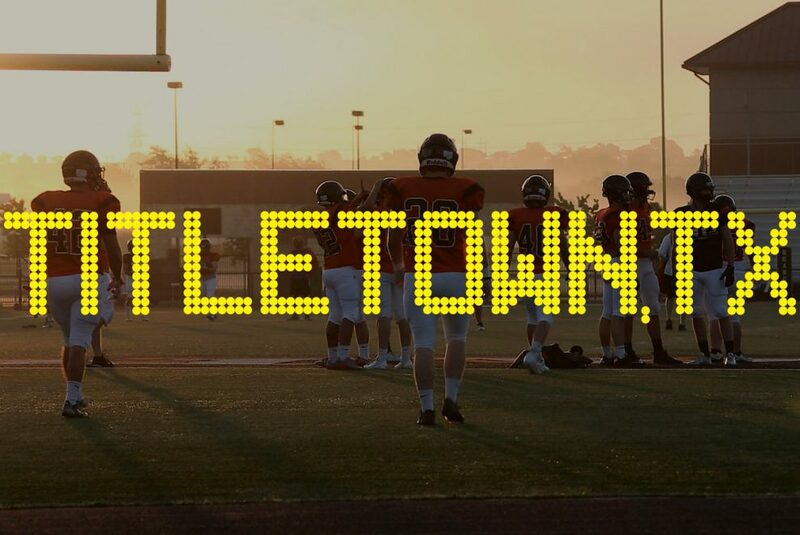 The Star-Telegram’s sole Facebook Watch project is “Titletown, TX,” a documentary series that follows local high school football team the Aledo Bearcats as they win the 2016 Texas state championship. The series wasn’t produced with Watch in mind; the paper originally published the series last year. But for the newspaper, Facebook Watch could be both a viable way to attract new viewers to its existing work and an important way for the newspaper to experiment with creating serialized video for a much larger audience. “Titletown, TX” checks a lot of boxes for Facebook. With Watch, the social network is trying to solve what has become a particularly sticky issue as it broadens its push into video: While people are watching plenty of videos on Facebook, vanishingly few are going to Facebook with that task in mind (unlike, say, with YouTube). Instead, video is just one of many content formats that appear in the News Feed. For advertisers, which typically value viewers who click a play button more than those who watch an autoplayed video as they scroll, a solution has been long overdue. This is why high-quality video series like “Titletown, TX” are so key to Watch, which is designed to develop intentional, habitual video viewing habits in Facebook users. “If you catch users on Facebook with a 20-minute documentary, that’s probably not going to work for them. But if you can send them to a landing page that has a number of options that they bookmark and watch later, that’s more in line with how we’re consuming visual content in the digital space right now,” Gustus said. Efforts like “Titletown, TX,” are still uncommon among local news organizations, according to Gustus. While the production costs attached to video continue to shrink, they’re still far higher than those of text. For many smaller organizations, video isn’t always easy to integrate into existing, print-centered workflows. And most local news organizations are still in the early stages of building out their own internal video operations and expertise — or rebuilding them from past iterations. McClatchy realized these challenges back in 2014 when it created the McClatchy Video Lab, a team designed to tie together the video efforts across McClatchy newsrooms, which had historically operated independently on this front. Beyond producing videos for the various distribution platforms and creating videos for advertisers, the video lab is also charged with supporting local newsrooms in their own efforts to reach new audiences online. The unit was particularly instrumental with “Titletown, TX”; Jessica Koscielniak, a McClatchy video journalist based in Washington, D.C., temporarily relocated to Texas to produce the project alongside reporters at the Star-Telegram — a move that was vital to the production. This is why Facebook’s Watch could be so important to McClatchy’s video efforts. Pergam said that while pushing video out on Facebook obviously comes with the promise of a much larger base of potential viewers, McClatchy is also intrigued by how viewers engage with content on Watch. Facebook says that one of its main goals with Watch is to help creators develop communities of passionate fans — intense viewers of series and evangelists for them. Features such as Watch’s ability to let users see what series their friends are following and comment on specific moments in episodes could help deepen that engagement. “Watch is appealing because it’s not just about getting as many of those singular people watching, but also developing a community of people intrigued by the content who want to watch together,” said Pergam. While Watch’s limited early userbase means that there are few insights yet into how videos are performing on the feature, the Star-Telegram is already thinking about what future projects could be a good fit for the new feature. The newspaper is in the early stages of a video project following a college as it builds a new football team from scratch. It’s a story that, like “Titletown, TX,” is likely to hook both local and not-so-local viewers, according to Gustus. POSTED Aug. 16, 2017, 9:52 a.m.
Bilton, Ricardo. "With Facebook Watch, the Fort Worth Star-Telegram hopes to attract more viewers to local videos." Nieman Journalism Lab. Nieman Foundation for Journalism at Harvard, 16 Aug. 2017. Web. 20 Apr. 2019. Bilton, Ricardo. "With Facebook Watch, the Fort Worth Star-Telegram hopes to attract more viewers to local videos." Nieman Journalism Lab. Last modified August 16, 2017. Accessed April 20, 2019. https://www.niemanlab.org/2017/08/with-facebook-watch-the-fort-worth-star-telegram-hopes-to-attract-more-viewers-to-local-videos/.